This is a lot of information and takes awhile to learn all the aspects of adjusting things in Photoshop and using textures, but thought it might give you something to think about! 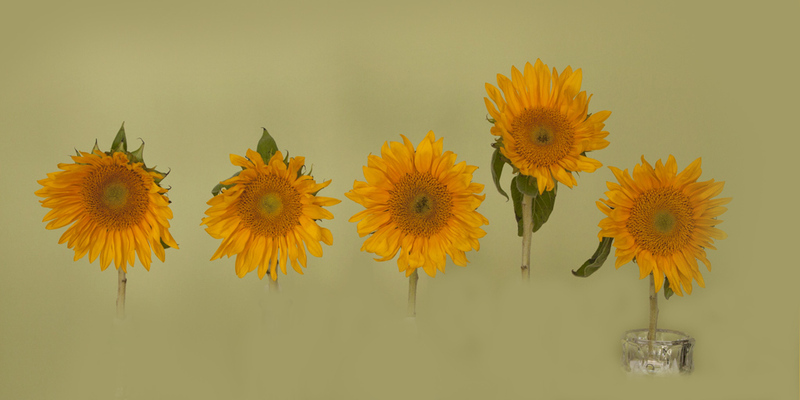 Sunflowers make great subjects. I had the idea of lining these up, but had to use a little ingenuity to get them to stand still. 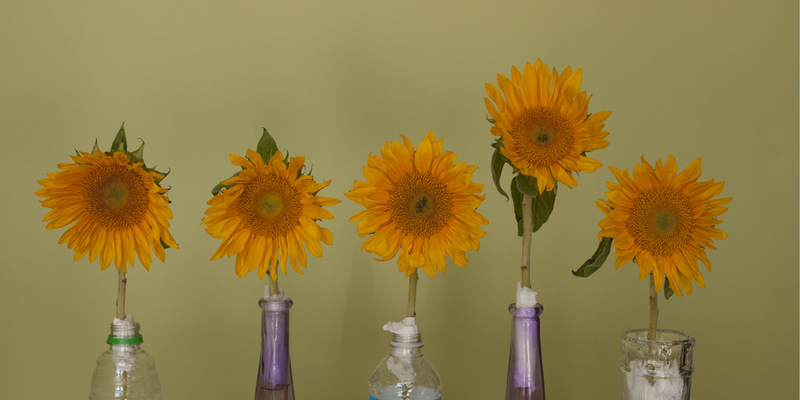 With water bottles stuffed with paper towels and other “vases” I could get them as I wanted against a nice green wall. The original image leaves a lot to be desired! Started with a 2:1 crop for panorama format. Then sampled the green background and painted over the vases, leaving the glass at the top of the far right vase. I added a blank layer and used the clone tool to paint the top of the vase into each of the other flowers. 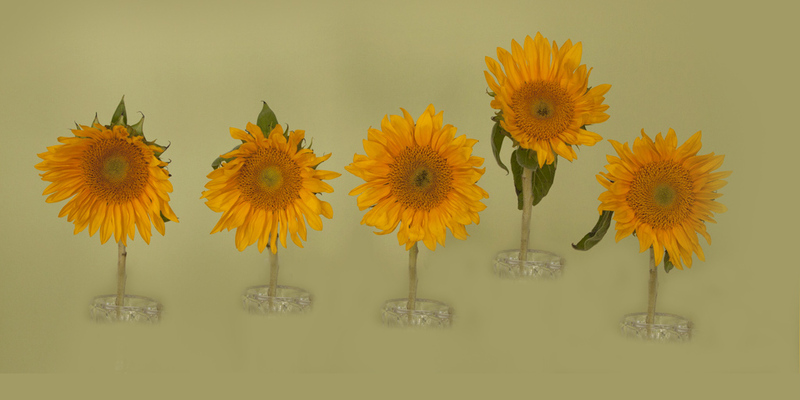 I lowered the opacity of the blank layer which now has the 5 vase tops to about 70%. The Text Tool gives you a new layer and I typed Sunflowers in Castella… adjusted font size and gave the space between the letters (called Kerning) a little more room. 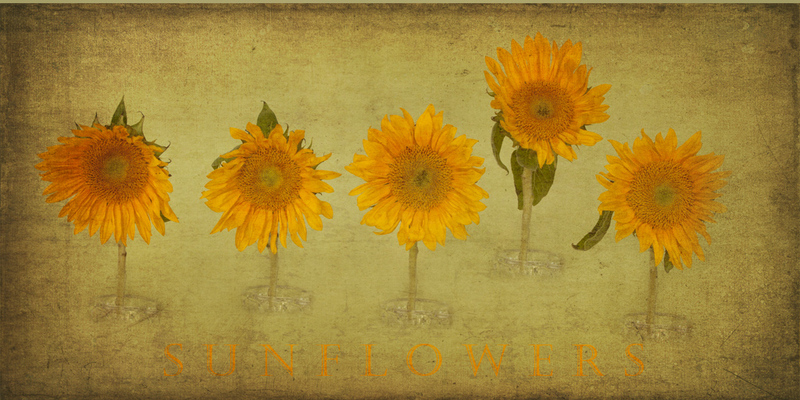 Added the Cinnamon Texture from Kim Klassen’s collection… used the Hard Light Blend Mode in Photoshop. 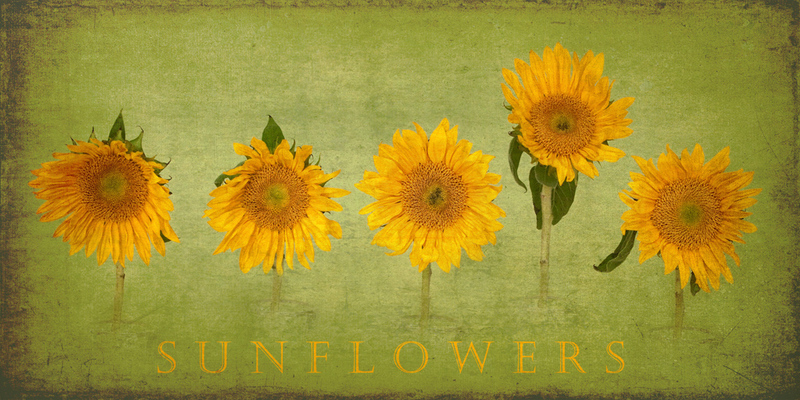 Finally I felt the green background (which actually has more yellow in it) needed some tweaking, so I made a selection in PS using the Select > Color Range and got most of the green included… using Layers > Adjustment > Hue/Saturation and using the sliders for yellow, I was able to get a color I liked better which also makes the sunflowers pop! This entry was posted in Software Techniques, Uncategorized and tagged Photoshop, Text, Textures. Bookmark the permalink. My neighbor down the road plants a field of sunflowers each year. It’s challenging trying to get something that has not been done to death. Although I’m not using photoshop, Looking forward to using lightroom and the nik software to get something as original and beautiful as this. You can do a lot of cool things with that combo too… I love it all! Susan, you amaze me! What a nice end result. 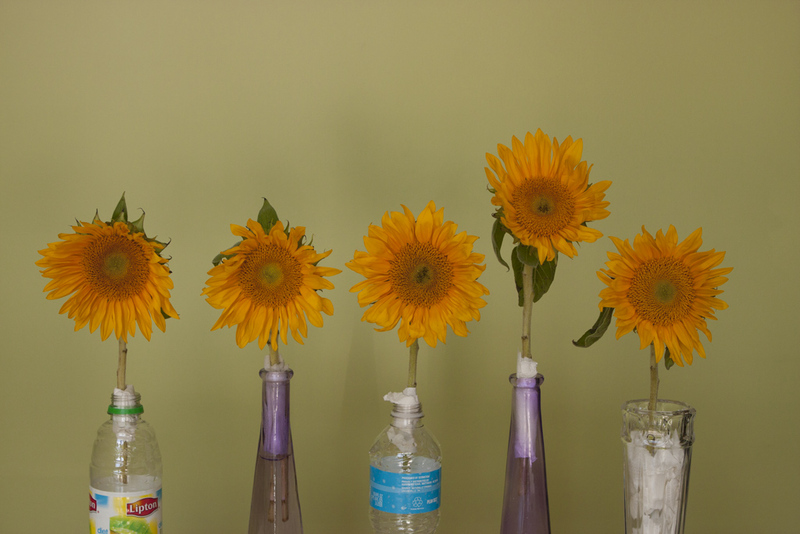 I just bought some sunflowers yesterday, I may need to give this a try. Thanks for the instructions! The instructions are very brief but I tried to include enough to get people started. Mary and I putting together a Text and Textures workshop that should be ready in a couple of months.